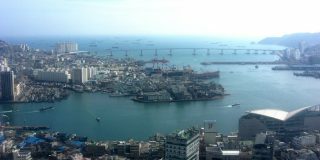 New information about North Korea often prompts experts and observers to ask further questions, and the recent revelation of a small new airstrip near Wonsan is no exception. The new airstrip, which is close to a Kim family compound and likely used by North Korean Supreme Leader Kim Jong Un, is too small for most types of fixed-wing aircraft. This raises the question: What type of plane might Kim use to travel here? The new, small airfield, located near the Kim family compound in Wonsan on the country’s east coast, was discovered on imagery from Google Earth by analyst Curtis Melvin and detailed in his analysis at North Korean Economy Watch. Because the airstrip is only about 560 meters long, it would only accommodate helicopters and small airplanes capable of taking off and landing in a short distance. 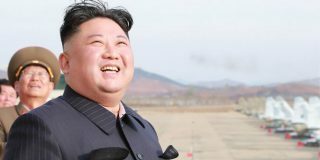 Relatively little is known about the flying habits of and aircraft used by the North Korean leader. This is due both the fact that North Korea’s state-controlled media reveals little about the aircraft Kim uses, most likely for security considerations, and also because use of aircraft by the North Korean leader is a change from the norm over the past two decades. The previous leader, Kim Jong Il, was notoriously afraid of flying, and so he preferred to travel by train. Last April, however, it was revealed through photographs in Pyongyang’s state media that Kim Jong Un flies around the country aboard an Ilyushin Il-62 jet airliner. Since then, Kim has been shown several times using one of four Il-62s believed to be in the North Korean inventory. Of the four Il-62s, experts say that two are configured for VIP-use. Unlike most aircraft in the North’s air force or in the state-owned airline, Air Koryo, none of the aircraft in which Kim has flown were shown bearing any tail number. This is likely a security measure to make it more difficult for observers to identify the specific aircraft from photographs. 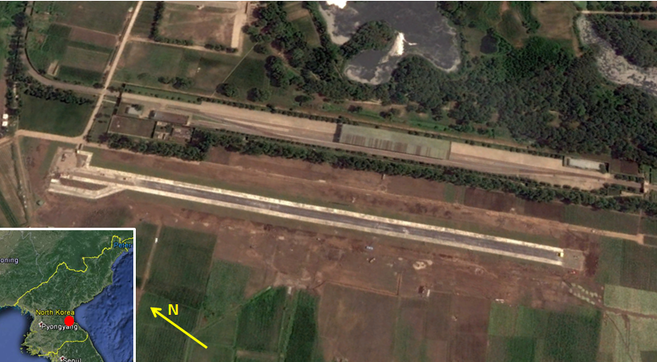 An Il-62, however, is too large to take off and land at the new airfield near the Kim family compound in Wonsan. This means that in order for Kim to use this airfield, he would need a helicopter or a much smaller plane. 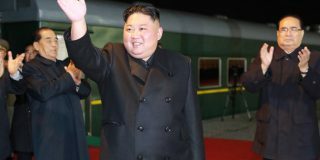 Kim almost certainly has used the airfield, since he made at least seven separate visits to the area since July, which is the latest that renovations at Wonsan Air Base began. While Kim and other senior leaders do likely use helicopters, the airstrip – which previously had just a helipad – has clearly been upgraded specifically to support small fixed-wing aircraft as well. One such aircraft that may be in use by Kim is the Cessna 172 Skyhawk. A small plane matching the appearance of a Cessna 172 Skyhawk was visible in video footage of Kim Jong Un’s visit to KPA Air and Anti-Air Force Unit 2620, a women’s flight training unit. 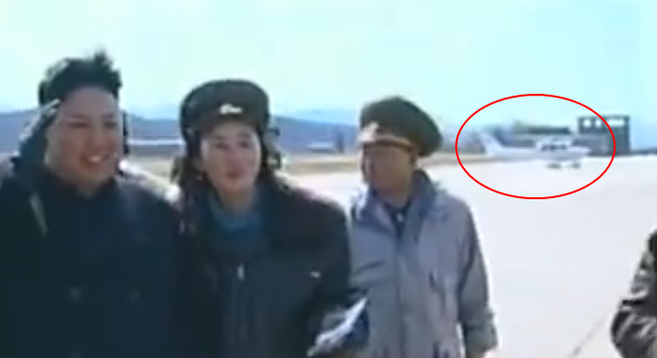 The aircraft can be seen twice – between 3:10 and 3:31 on the footage – parked on the airfield in the background behind Kim and the military officials and pilots. Because the footage is blurry, the aircraft type cannot be definitively confirmed, but what can be seen does match the profile of a Cessna 172, a common aircraft worldwide. 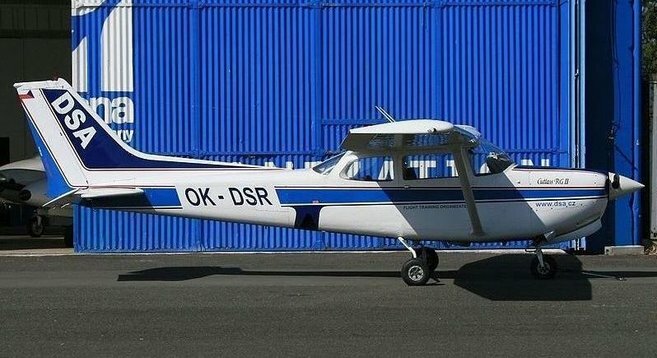 Additionally, according to Kim Jong Ryul, a former North Korean official who was responsible for acquiring foreign products and luxury goods from abroad for the regime, a “a light Cessna aeroplane” was among the items he helped Pyongyang purchase sometime before 1994. The Cessna 172 Skyhawk is a popular four-seat, single engine civilian aircraft produced since 1956 by American aerospace manufacturer Cessna Aircraft Company. It was one of the most common aircraft around the world and so could have easily been purchased by North Korea without having to buy directly from Cessna or any other American company. The Cessna 172 would be an adequate aircraft at least for transporting Kim and one or two close aides across the country. With a cruising speed of 226 kph, it would take about an hour and a half to fly from the airfield at Mirim in Pyongyang to the new airstrip at Wonsan, a distance of about 135 kilometers. 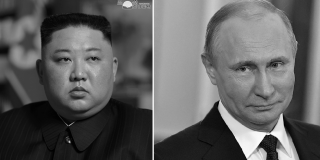 Aside from the Cessna, North Korea likely maintains other small aircraft for use by Kim and other senior leadership, including helicopters such as the Mi-8 and the Mi-17. Although Pyongyang has revealed that Kim does indeed fly on aircraft – possibly in part to show the leadership’s confidence in the country’s air force and airline – Pyongyang likely continues to intentionally limit public exposure of aircraft used by Kim for security reasons when possible. Joost Oliemans and Stijn Mitzer contributed to this report. Subscribe to read the remaining 799 words of this article.